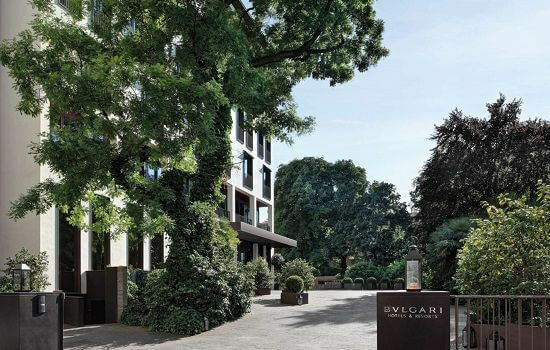 Situated on a private street in downtown Milan, in a tastefully renovated 18th-century Milanese palazzo, is the Bulgari Hotel Milano. 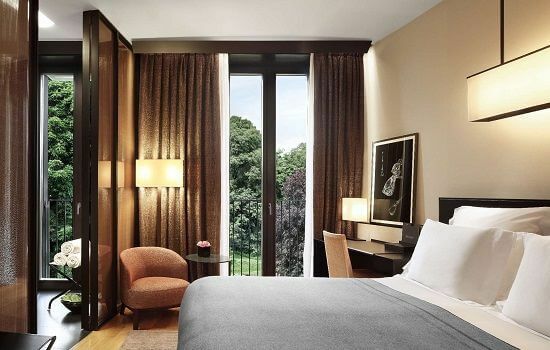 Designed by architects Antonio Citterio and Partners, the 58 rooms and suites are all bright & airy but are furnished with teak and oak to give a feeling of warmth and intimacy. Il Restorante strives to take guests on a gastronomic journey into the aromas and flavors of Milanese cuisine. The wine list vaunts more than 500 cases of the most carefully selected vintages, as well as a fine selection of Champagnes and sparkling wines. Connoisseurs of fine spirits will also find much to choose from. 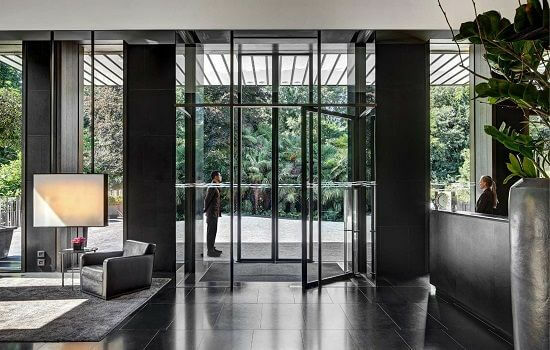 Space is at a premium in the bustling centre of Milan but you would be forgiven for thinking you were somewhere else entirely whilst exploring the hotel’s 4,000-square-meter private garden which backs onto the nearby Botanical Gardens. This is a remarkable achievement considering many of the cities designer boutiques, best restaurants and trendy nightclubs are within walking distance.